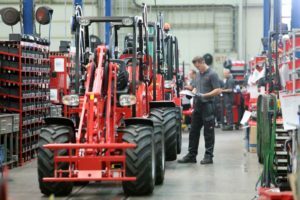 Customer satisfaction and flexibility have made us what we are today: one of the most successful suppliers of high-performance compact, wheel and telescopic wheel loaders around. 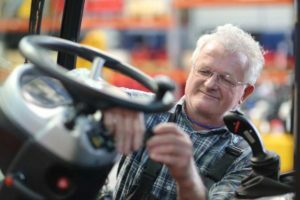 Customer satisfaction and flexibility have made us what we are today: one of the most successful suppliers of high-performance compact, wheel and telescopic wheel loaders around. Our exceptional machines are the product of long-standing, close customer relationships. As a result, for more than 60 years, we have been able to continue to create new solutions tailored to the needs of our customers. Our aim is to build the best loaders: quality is our guiding principle. Our machines set the standard for durability and reliability, low operating costs and long useful life. Each loader is an advance in performance, safety and operator comfort – a typical Schäffer. 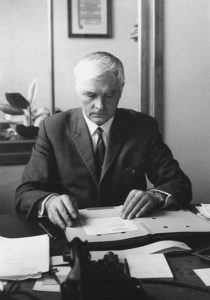 When Heinrich Schäffer entered Schäffer Maschinenfabrik in the commercial register in 1956 he could have hardly known what a great success story he was starting. Right from the start, company strategy focused on the customer. The emphasis was not on mass production aimed solely at quantity, but rather on custom-made products that were especially made for the needs of their respective users. Siegfried Schäffer, son of the company founder, and his brother-in-law Jürgen Jachalke, who assumed company management after the death of Heinrich Schäffer in 1981, also follow this creed in their work. Company management has been rounded out by the addition of Rüdiger Lohoff, the son-in-law of Siegfried Schäffer, since 2013. We are ready for an independent future. This means that the company still is completely family-run. Continuity and flat hierarchies have always characterised our management structure. This is the basis for short decision lines and the resulting quick responses to customer requirements and market developments. We rely completely on in-house production so we can control every aspect of vehicle quality. All work is carried out by our own committed employees: from cutting steel parts to size through painting to final assembly. Most of our suppliers are leaders in their specialist fields. 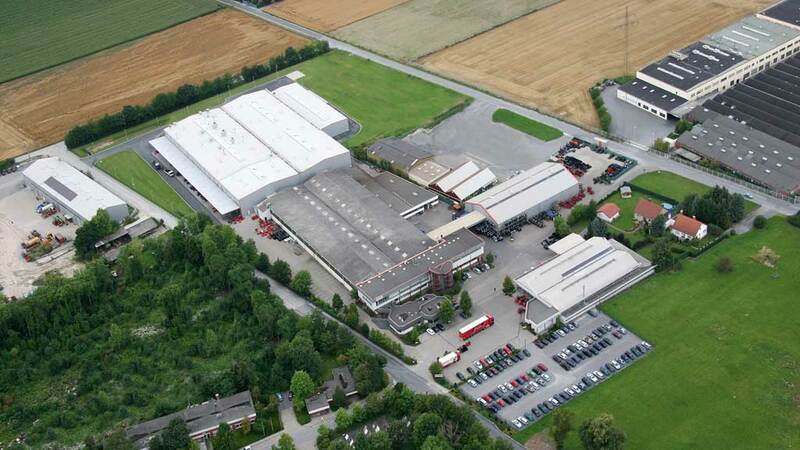 All this gives our machines the renowned Schäffer quality and reliability. Learn more about Schäffer and download a PDF with our milestones.